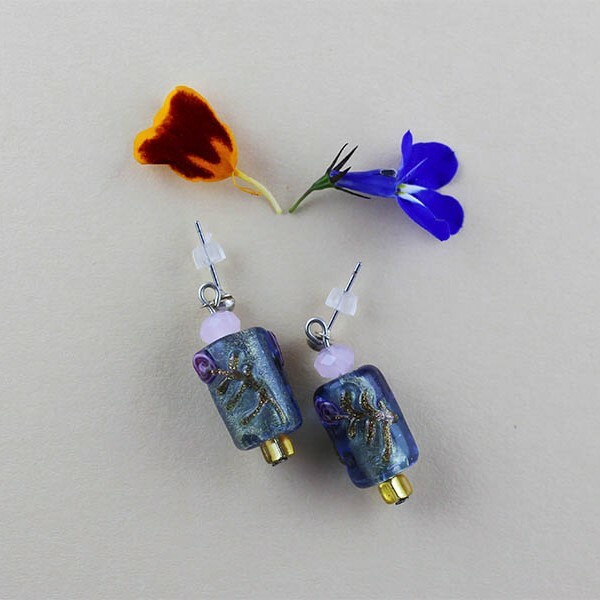 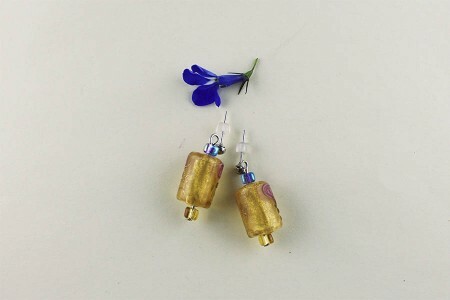 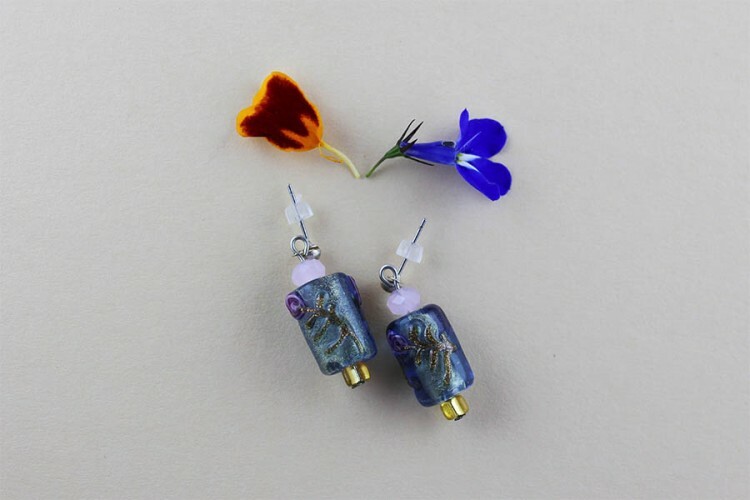 Tubular Murano-like glass beads containing gold foil, tiny golden Miyuki glass beads with silver foil inside and multifaceted glass beads. 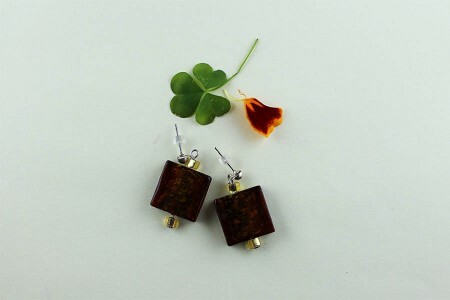 The ear-studs are silver plated. 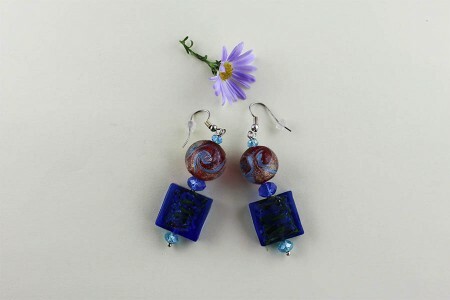 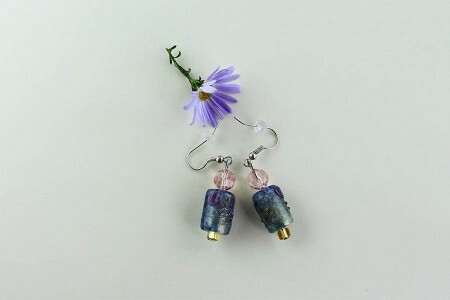 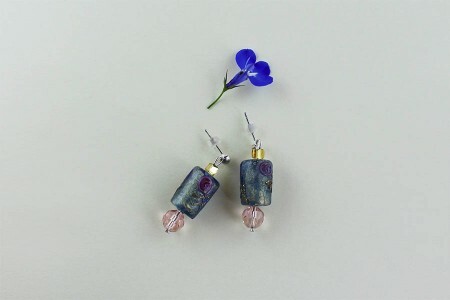 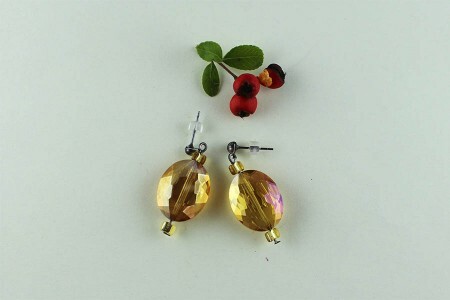 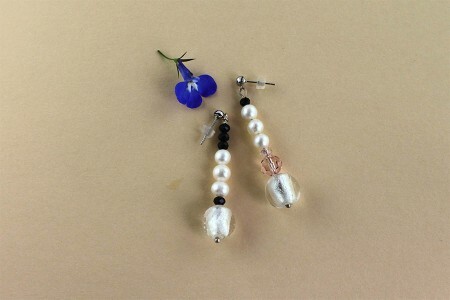 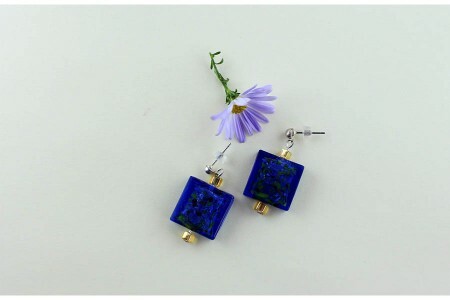 The earrings come in a tiny Organza bag.